It is simple to get from Austria to Italy, but traveling by train makes it so much easier. Why overspend on a flight for such a short trip or worry about renting a car, when you can sit back, relax and enjoy the scenery as you pass through the Alps by train? 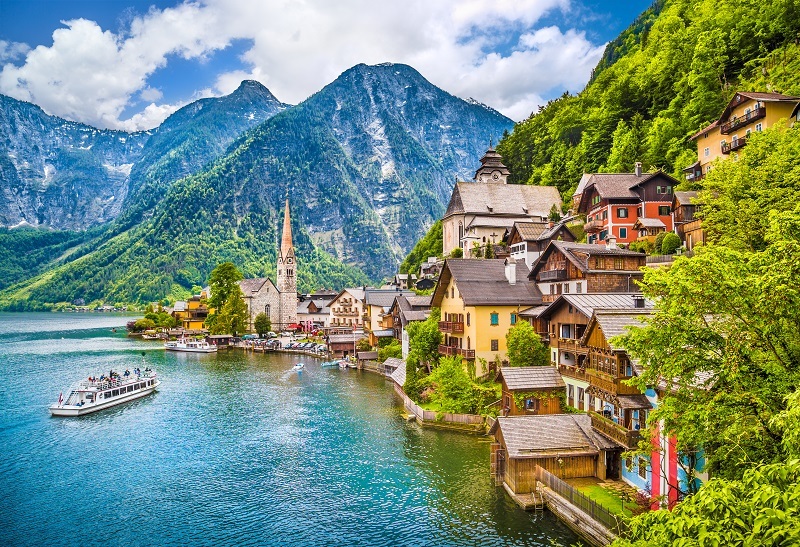 Another reason to take the train is that you can save money when booking your tickets between Austria and Italy with ItaliaRail. The Austrian Federal Railways, or Osterreichische Bundesbahnen (OBB), operates the 5,800 kilometer rail system within Austria. The Westbahnhof and Sudbahnhof are Vienna's major railway terminals. Westbahnhof is the gateway to Germany, Switzerland, and the rest of northern and central Europe, while Sudbahnhof is the gateway to southern and eastern Europe. Westbahnhof has two levels, and if you are arriving by train you will be on the top level. The main station concourse is at street level. Sudbahnhof is a three-level terminal with the train platforms located on the middle and top levels. When traveling from Italy to Austria, it is highly recommended to purchase a ticket and a seat reservation. The tickets are therefore only valid for the day and train booked.